As I watched Barry Sanders A Football Life, they began the episode with Sanders reading his retirement. The closure gained from it was immense. It wasn’t as though I was still sitting here thinking he was coming back after 15 years. We’ve already witnessed his induction into the Hall of Fame, but to hear his words publicly, laid to rest those feelings and emotions that lay dormant from the years immediately following his retirement. He was simply the greatest running back ever in the Chancellor of Football’s estimation. Sanders with defenders left in his wake. To a prior generation of NFL historians, Jim Brown was the measuring stick yet when you think about it, he wouldn’t have been as effective against modern defenses. He played at a time when the NFL didn’t play black players at linebacker or safety. Brown was bigger and more imposing than the players he faced which wouldn’t have been the case had he played decades later. Brown was 230 lbs at the time when defensive linemen were 260 lbs themselves. Sanders’ speed and elusiveness translated to any and every era in NFL history. He also did it against better defensive athletes. He played against Lawrence Taylor, Ronnie Lott, Reggie White, Mike Singletary, Bruce Smith, Derrick Thomas, the Kevin Greene’s, Chris Doleman’s, Keith Millard’s, and Howie Long’s of the more modern game. Terrorists who could swallow offensive linemen, split the double team and had the athleticism to catch a back from behind before he could get to the corner. With teams now putting the best athletes on the defensive side of the field, Sanders used to terrify them with his start and stop jump cuts. No offensive player over the last 30 years put more fear in coordinators or defensive players. He could make a move and leave a defender embarrassed and grasping at air. Leave them with “broken ankles” as we used to say. Simply put he’s the greatest runner the NFL has ever seen. Did The Chancellor of Football say greatest ever runner in NFL history?? First consider the average running back’s career lasts 4 years. Then take into account the greatest runners had their highest rushing totals within those 4. Sanders ran for 2,053 in year NINE. It took Jim Brown 9 years to gain 12,312 yards rushing, where it took Sanders 10 to amass 15,269. Everyone forgets the near rushing titles to go along with the 4 he won. In his rookie year he was 11 yards short of eclipsing Christian Okoye (1,480 to 1,470), yet told Coach Fontes to let his backup get some playing time. 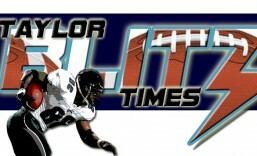 Okoye got his rushing title yet carried the football 90 more times than Sanders! Next case in point is the slanted description of Emmitt Smith missing the first 2 games of 1993, then coming back to win the rushing title. For every Cowboy fan that touts this, they casually omit Sanders missed the last 6 games of that season with a knee injury. 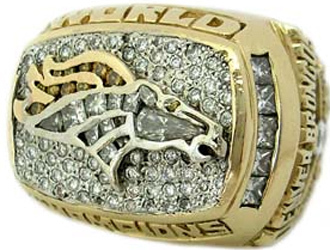 At the time of Sanders retiement, he was in striking distance of Payton to begin ’99. Interesting… to think that Barry entered the NFL in ’89 and Emmitt in ’90, folks forget how big a lead Sanders had at the time of his retirement. 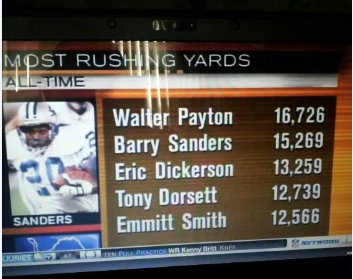 Sanders was due to break Peyton’s record late 99, it took Emmitt another 3 1/2 years to break it. Paul Tagliabue should have got involved behind the scenes and facilitated a trade to keep Sanders playing. He blew it…. Sanders would have pushed the record to 20,000 guaranteed. As we alluded to earlier, most running backs have their greatest single season rushing total in the first 4 years of their career. Barry crossed 2,000 in year nine. Even in year 10 he wasn’t slowing down. One of the greatest battles in NFL history in terms of effort, you need to check out the birth of the Baltimore Ravens as an elite defense in the final week of 98. Barry was trying to extend his streak of 1,500 yard seasons when late in the 4th quarter he had 1,495 yards. The next 6 or 7 carries the Ravens were determined to stop him and they fought tooth and nail. Barry didn’t make it to 1,500 but he made folks miss like no one’s business. Man I wore that tape out watching that. Thank goodness for the emergence of Marshall Faulk and Edgerrin James because the beginning of the season didn’t feel right as Sanders’ abrupt retirement cast a pall over the start of ’99. It took years for the disappointment to go away and it was reawakened at the time Smith passed Payton. One aspect of not gaining closure on Sanders is the abandonment of the house he provided thrills in. What was missing as a football fan and historian, I never had closure to his career. I can remember this Pro Football Almanac I purchased in the summer of 1990 and they foretold a fictitious story of Sanders crossing 15,000 yards in a decade. The Lions were supposed to be winning the Super Bowl over in Tokyo to conclude his tenth season also. It was a very interesting take with half of it coming true. With all due respect to William Sanders, his son Barry was the greatest running back in NFL history. The most elusive running back in NFL History and greatest in my estimation. If you take a look at all running backs they have their greatest season totals within their first four years. The average running back’s career is actually 3.7 years but look at them all… Earl Campbell, Eric Dickerson, Jim Brown, Terrell Davis, Emmitt Smith, Walter Payton, hell even OJ Simpson. OJ was forced to play wingback his first three seasons but once he was moved back to a true running back situation he burst on the scene and in his second year gained his 2,ooo yards. Why am I bringing this up?? Well Sanders had his best season in year NINE when he finally got a fullback. His last battle was against the up and coming Baltimore Colts in the season finale in 1998. As the game was nearing it’s end, Sanders needed less than 10 yards to finish with 1,500 yards (would have been his fifth or sixth straight year in a row) and on 6 carries battled it out with Ray Lewis and the gang for that honor. The Ravens held up but the moves, effort, passion displayed by both Sanders and the Ravens was a sight to behold. He finished with 1,491 prompting Chris Berman to announce “the world is still flat” in an obvious reference between Sanders’ yardage total and matching it to a year in history. What is interesting to talk about now that Barry’s career is over is how incredible would his numbers have been had he NOT played in the run and shoot? There was once an article about the run and shooot that said “replacing a tight end and a fullback with two additional receivers and the corresponding replacement of two linebackers for secondary players removed 17% of the body mass at the line of scrimmage.” What this also did was move two more defensive players six or more yards off the line of scrimmage. So when Sanders broke into the open as a young NFL runner, players had angles on him which shortened many runs. Once the Lions abandoned the prinicples of the run and shoot (around 1995) Sanders flourished once they brought tight ends and blocking backs in the game. With teams playing with a normal defensive 11, whether a 3-4-4 or a 4-3-4, once he broke the line of scrimmage he was able to scream to the endzone with 73% of the defenders within 5-7 yards of the scrimmage line. No one had angles on him and he started breaking off monster runs. 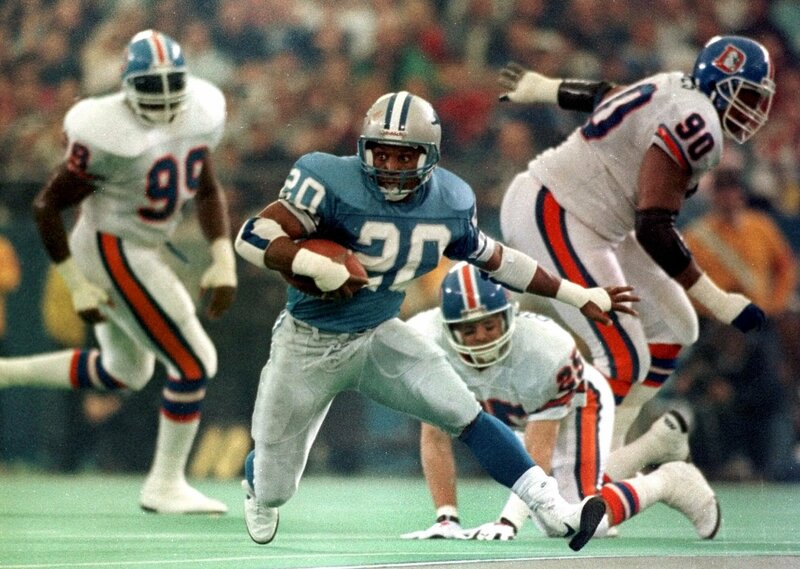 In 1996, the NFL had 10 runs of greater than 60 yards, SIX of them belonged to Barry Sanders. Had he played with a traditional offensive formation the duration of his NFL career, not only would Barry Sanders have obliterated Walter Payton’s all time rushing record by 1999, he would have been the only back in NFL history to have multiple 2,000 yard seasons. The Chancellor’s estimation is he would have had at least 3, 2,000 yard seasons. Think not?? When I think of Eddie George, I think of a great running back who deserves to be in both the college and pro football hall of fame. George had a great season when he won his Heisman. In that year, George ran for 1,927 yards and 24 touchdowns, running away with the vote. Well if you added another 701 yards and 13 more touchdowns then he would tie what Sanders did in his. That is a complete season for some college running backs. In 1988 when he ran for that 2,628 yards and 37 touchdowns, it was easily the greatest season a running back has ever had. He achieved those numbers in a traditional offensive alignment (FB & TE) and was playing in the Big 8 which is now the Big XII. Remember Colorado played for the National Championship after the ’89 season, and there was Oklahoma who played for the National Championship in ’88, and Nebraska….so you can’t say he was in a weak conference either. Yet when it came to attacking a defense and destroying pursuit angles, Sanders was that fast…and this is before we start talking about the moves. At Gale Sayers Hall of Fame Induction ceremony, owner and founder of the Chicago Bears George Halas proclaimed “Gale Sayers, his like will never be seen again.” which was echoed by generations of NFL fans. Yet when it comes to Barry Sanders, not only can the same be said but those prior generations of fans along with Generation X and Y are all in agreeance on his talent. He even amassed statistics to go along with it. Editor’s Note: NFL Films’ Paul Monusky and Nick Mascolo are the producers for this week’s episode of “A Football Life”, featuring Hall of Fame running back Barry Sanders. Here’s Monusky’s thoughts on what he learned about Sanders and his effect on others. Be sure to tune in to “Barry Sanders: A Football Life”, this Wednesday at 8 PM / ET only on NFL Network. In the summer of 1999, arguably the greatest running back in NFL history walked away from the game at the age of 31. Without a press conference, or a lavish farewell tour, Barry Sanders faxed in his retirement to a childhood friend who worked at their hometown paper and then took off to England to walk around the streets of London for two weeks. 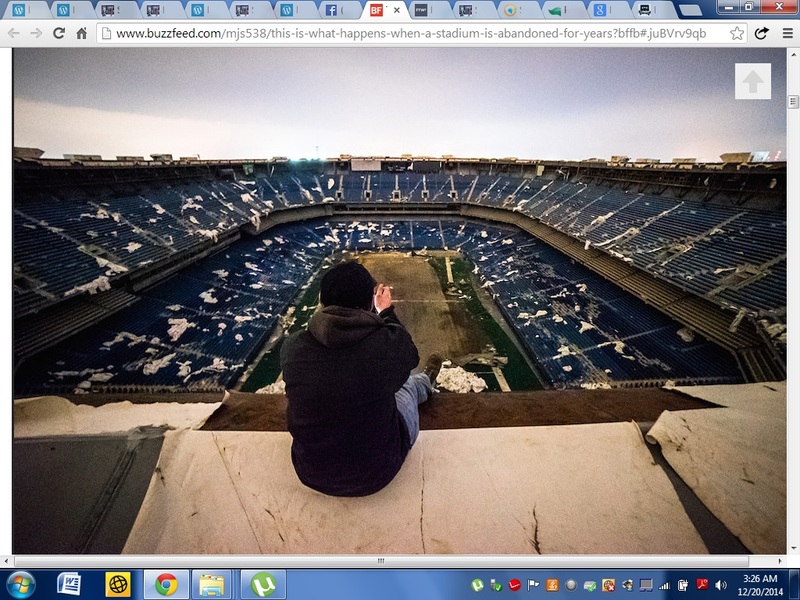 Football fans around the world, and especially in Detroit, were left with many unanswered questions.